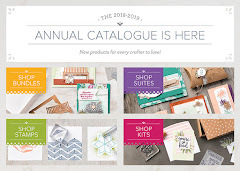 This morning I showed off the SAB products and this afternoon I have some new stuff from the Seasonal Catalogue starting next week. 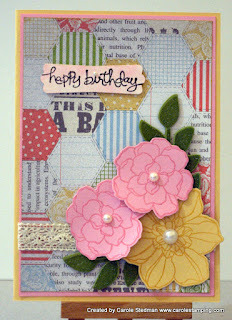 This week's challenge at Sunny challenges of a Birthday theme is perfect for showing off this new DSP and stamp set. It is just so feminine and soft. Sale A Bration starts today!! Yay! It is Sale A Bration time again. I made this using the free DSP in the Sale A Bration catalogue. The test tubes inside are filled with free ribbon and buttons that match the DSP. You can get all for three (and a matching stamp set) just for hosting a $600 workshop. You still all the usual hostess benefits as well! 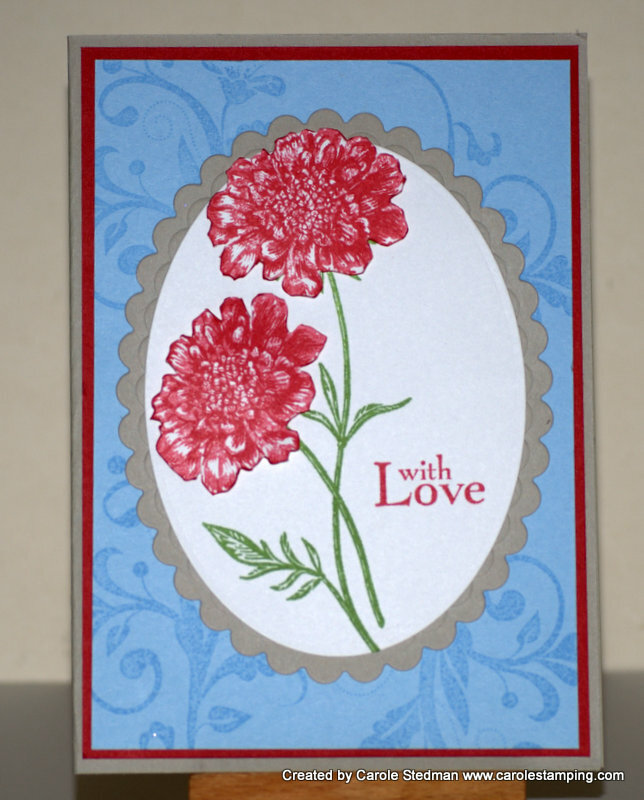 Check out full details at Stampin' Up! It is great to be back in my craft room after so long away. I have been busy with Christmas and school holidays as well as trying to get my final asssignments of the year done. And it is even better not to be making Christmas cards!! 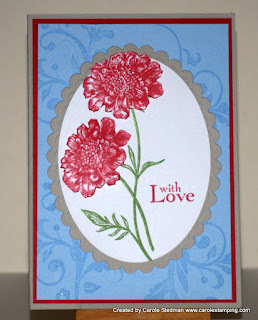 Late last year I joined an online craft forum called Crafters Anonymous. 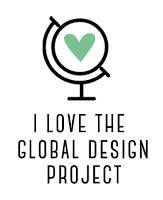 This group is open to all crafters, not just card makers or SU! Demonstrators. They have a number of different groups you can join depending on your crafting preferences. One of the groups I joined is for challenges and this month the challenge is for specific colours.